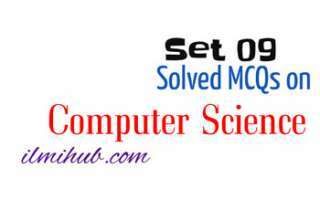 This post contains Computer Science MCQs for NTS, CSS, FPSC, OTS, PTS, PMS and other Competetive Exams. Not only these tests even you can prepare these Computer Science MCQs for PPSC for online preparation of Interview. These MCQs are taken from Caravan Comprehensive GK Book. 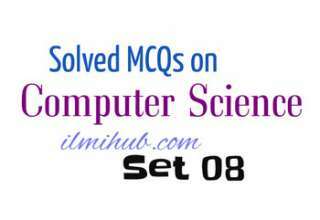 For more MCQs of Computer Science, you can visit this. Counting is starting from 71 of this post. Previous Set of MCQs is Here. 71. The famous Silicon Valley is situated in which state of USA? 72. The first computer virus was created in the 1970s at ________. 73. What is the name of the computer virus which affects computer programmes written in Java? 74. Mostly Web address begins with “HTTP”. What do the letters stand for? 75. Microsoft launched which of its popular products in a submarine before a team of reporters? 76. In 1980, IBM chose which company to provide the operating system for its upcoming PC? 77. Which company launched the geostationary communication satellite Telstra? 78. In 1969, seven USA universities developed a decentralised network called Arpanet under Advanced Research Project. The network, designed to survive nuclear attack, led to the development of the Internet. Who funded Arpanet in 1969? 79. Which famous computer company was born in a garage at 367, Addison Avenue? 80. When IBM announced an idea for a new kind of business software, he saw golden opportunity in it and borrowed the idea and turned it into a product before IBM did. Who is he? 81. The term “cyberspace” refers to networked digital environments, especially advanced systems that produce an illusion of reality. Who coined this term? 82. Which personal computer has been named after a popular variety of apples in USA? 83. A Terabyte represents about _________. 84. A Digitizer uses a mouse like copying device called_________. 85. A bit can be __________. 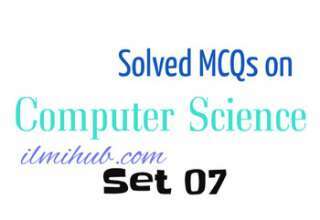 Computer Science MCQs for NTS next set is Available here. All the MCQs of Computer are posted carefully. If you find any mistake, please inform us in the comment section.